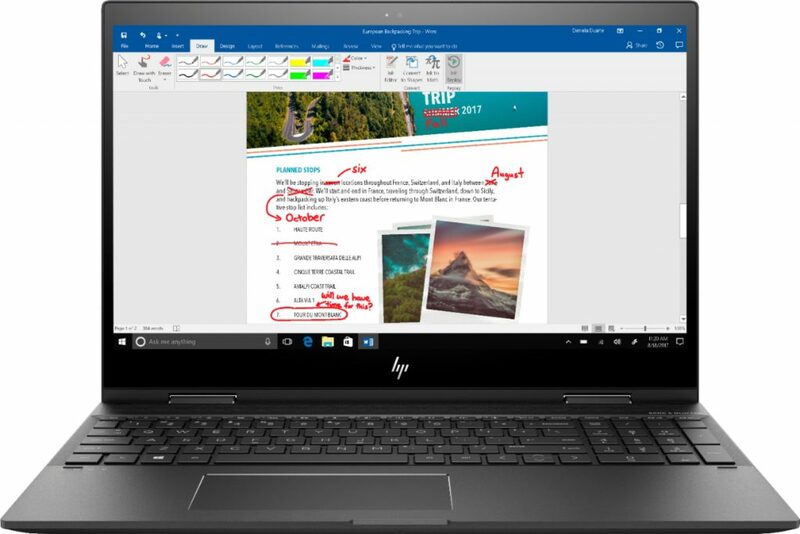 These touch-screen laptops come with Windows Ink capabilities which means that you can write on the screen using a stylus. This is a very useful feature for anyone that needs to make something on the screen stand out quickly. It makes it really easy to quickly take notes. I really wish I had this when I was in school. The touch screen comes in both 13.3″ and 15.6″ sizes in a 1920 x 1080 resolution which boasts impressive color and clarity. It utilizes WLED backlight technology which is very energy efficient in order to maximize battery life. Windows 10 brings back the Start Menu that many are familiar with in Windows 7. It also introduces the Edge Web browser that lets you markup Web pages on your screen. Solid state drives bring me piece-of-mind as a parent. Over the years I have had way too many spinning hard drives fail. While nothing is fool-proof, I have a lot more confidence that that important file will accessible when I or my kids need it . I really like that these convertible laptops are small. At only 2.87 lbs. 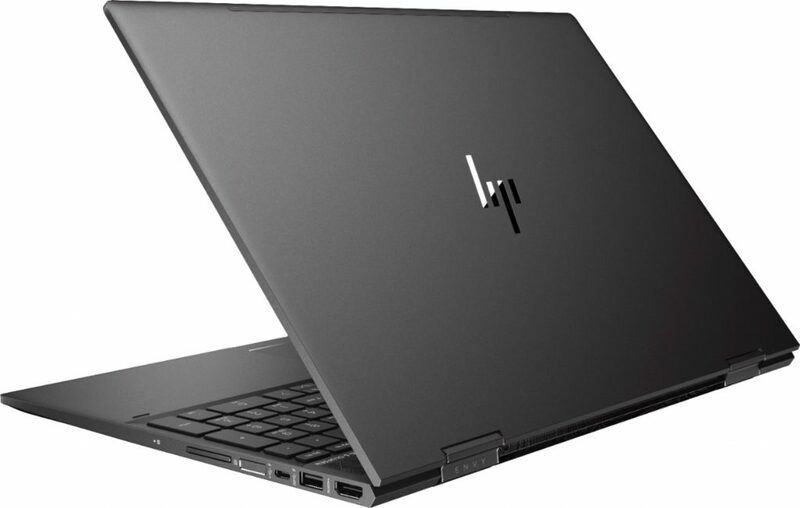 and 0.6″ thin for the 13.3″ version, it is thin and lightweight for me or my kids to carry everywhere. Even the top-of-the-line 15.6″ version only weighs 4.5 lbs. and measures 0.7″ thin. The size and weight are kept down through using 4-cell lithium-polymer batteries. Even with connected tv’s in our home, I am constantly surprised at how often I am looking for an HDMI adapter to connect laptops to the larger screen. 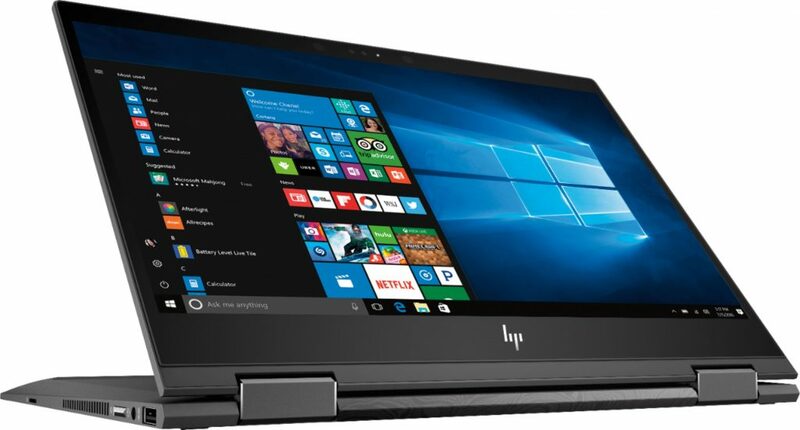 The HP x360 built a full-size HDMI port into its compact size. 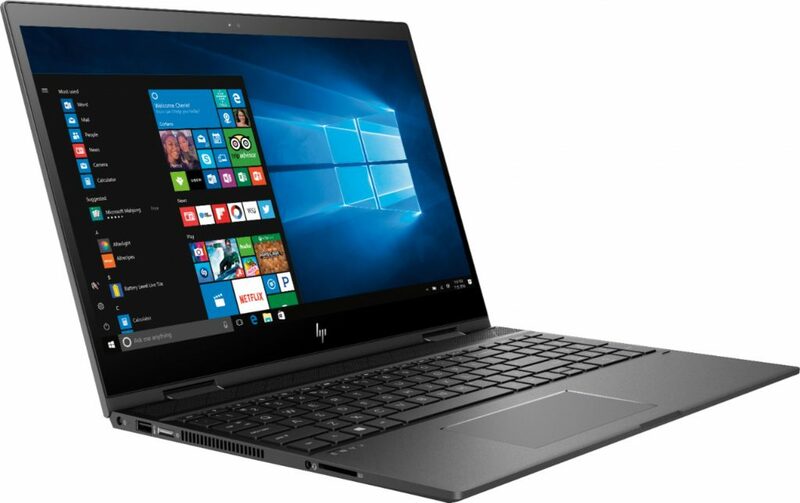 The HP Envy x360 Laptop is a great option for students or professionals who need a versatile laptop.